This is the e-architect archive page for Architecture News November 2008. Shanghai Tower is located in the Lujiazui Finance and Trade Zone, an area of Shanghai that was farmland a little over 20 years ago. 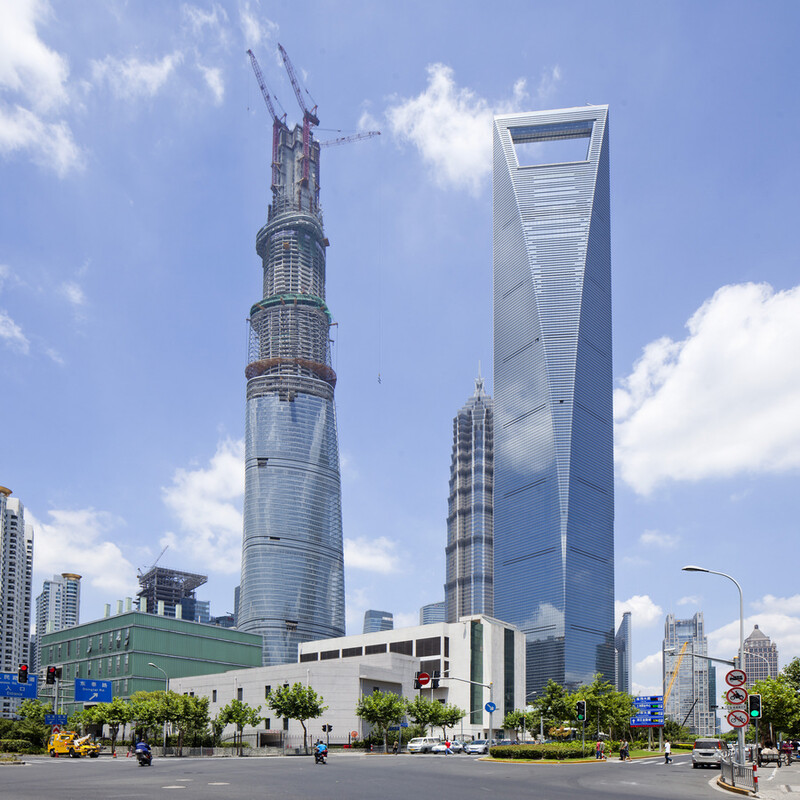 The area is China’s first super-tall district, as Shanghai Tower rises to complete a trio of towers including the adjacent Jin Mao Tower and Shanghai World Financial Center. The building will contain Class-A office space, retail, a luxury hotel and cultural venues. The upper floors will feature the world’s highest observation deck, while the tower’s podium will offer a high-end retail environment with a major event space. Below-grade facilities include retail, connections to the Shanghai Metro and three floors of parking. The building complex is a concept of individual buildings, creating a special place around a courtyard on a platform, with the surrounding sculptural and varied roofscape. The auditorium, the boathall and the library are designed with dramatic and very tall sculptural roofs. Dupli.Casa : J. MAYER H.